Each cable to connect the inner network switch to the outside of the scanner pole. 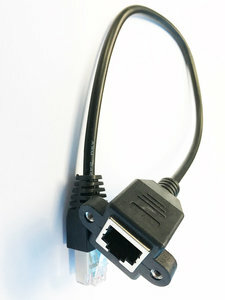 30CM RJ45 to RJ45 Panel Cable. Easily connect the inner network switch to the backside of the scanner pole.